Last week I told you which concept I dreaded teaching each year. 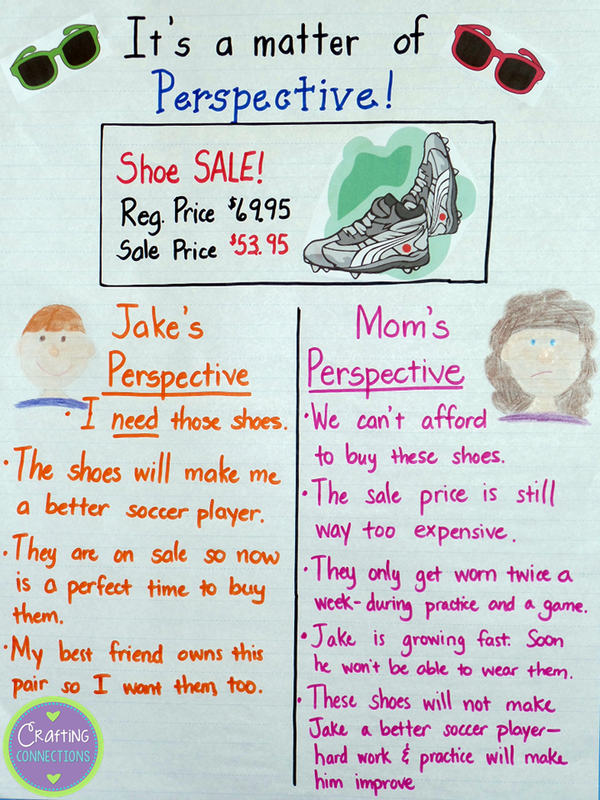 This week, however, I am switching to one of my favorite concepts... teaching how different people can have perspectives! I think this is fun because there are so many fun books to read when you introduce this topic to your students. 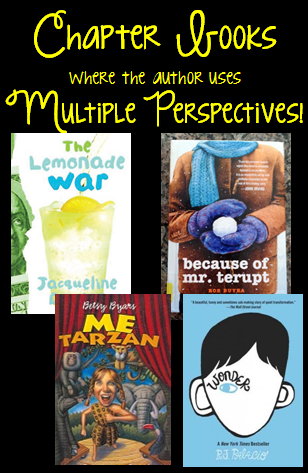 If I had to choose just one to read aloud to my class, I would probably choose The Lemonade War by Jacqueline Davies. It is actually a series of books (The Lemonade Crime, The Bell Bandit, The Magic Trap, and The Candy Smash are the other books in this series) and I love to get students hooked on a new series! Whenever I have read The Lemonade War to or with students, there have always been always several students who are eager to read the other books in the series! The sunglasses are a FREEBIE by Ashley Hughes. 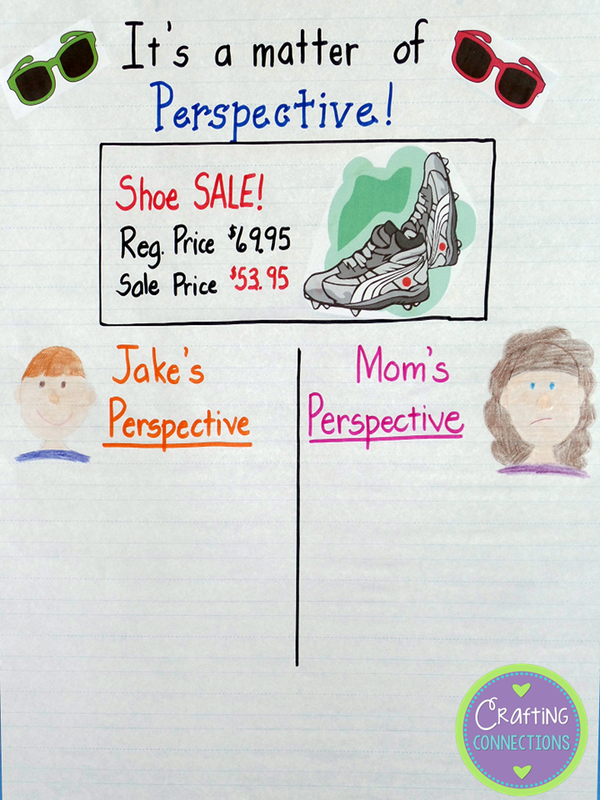 Students really seem to enjoy brainstorming the differing perspectives of Jake and Mom concerning the soccer cleats! I also created the following craftivity to accompany this concept. 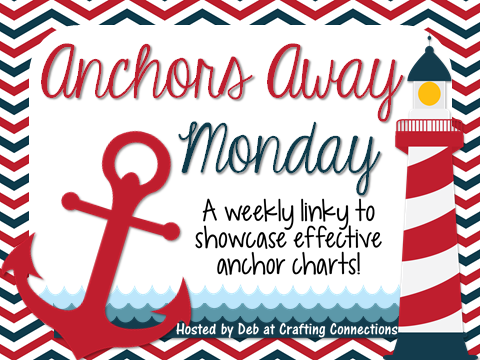 I'd love to see an anchor chart that is hanging up in your classroom! Please link up!